Desktop application streaming solutions enable end users to access enterprise applications and data securely. Without these solutions, enterprise applications can still be provided via web interfaces, but they may lack the feature sets, provisioning capabilities, or data protection from the user or end-point device that enterprises require. In the past, these technologies were commonly referred to as “remote access solutions,” but as customers move to Amazon Web Services (AWS) all end users are remote to the data and applications hosted on AWS. When desktop application streaming solutions are in place, enterprises can migrate workloads without repurchasing or refactoring the enterprise applications. This means customers can migrate the backend systems of their enterprise applications to AWS and have the desktop applications run next to those backend systems while the desktop application streaming solution provides end users access. In 2017, AWS and many of the Technology Partners in our global AWS Partner Network (APN) invested in efforts to enhance their solutions and help customers migrate enterprise desktop applications to AWS. These Partners are demonstrating the value of supporting AWS services that provide customers with solutions that are secure, easy-to-use, scalable, and cost-effective. T2 instance types are very common given the T2 instance concept of CPU credits providing ample performance at a compelling price point. In November 2017, we extended this model to support T2 Unlimited, providing the ability to sustain high CPU performance over any desired time frame while keeping costs low. Improve user experience for generic use cases through CPU-offloading. Many workloads do not require GPU to run but benefit from the presence of GPU for better performance. These include video viewing, video conferencing, PowerPoint, streaming encoding, and lightweight 3D processing. By using the video encoder and Direct3D API support of GPUs, customers can get a smoother experience or provision less CPU for the same workload. Host 3D-intensive applications. Virtually all professional graphics applications rely on GPU graphics APIs, such as OpenGL and Direct3D, to function correctly and smoothly. Without GPUs, applications can refuse to start or switch to software emulation mode, which reduces performance and user experience. Some applications may also require GPU compute APIs, such as CUDA or OpenCL. In August 2017, we announced the general availability of Amazon EC2 Elastic GPUs for Windows. This is a resource you can attach to your Amazon Elastic Compute Cloud (Amazon EC2) instance to accelerate the graphics performance of your applications. Elastic GPUs are best suited for applications that require a small or intermittent amount of additional GPU power for graphics acceleration and support OpenGL. Elastic GPUs support up to and including the OpenGL 4.3 API standards with expanded API support coming soon. In July 2017, we launched the G3 instance type, powered by NVIDIA Tesla M60 GPUs. The GPUs support OpenGL 4.5, DirectX 12.0, CUDA 8.0, and OpenCL 1.2. When you launch a G3 instance, you have access to one NVIDIA GRID Virtual Workstation License per GPU and can make use of the NVIDIA GRID driver without purchasing a license on your own. For GRID virtual application licenses, up to 25 simultaneous sessions can be under a single license. This makes the G3 instance type perfect for VDI use cases, as well as multiple sessions per instance solutions like Microsoft Remote Desktop Session Host (RDSH). To activate the GRID capabilities on G3 instances, such as NVIDIA GRID Virtual Workstation or NVIDIA GRID Virtual Applications, you must define the product type for the driver in the registry and disable the licensing page in the control panel to prevent users from accidentally changing the product type. In 2017, AWS Partners invested in efforts to enhance their streaming solutions running on AWS with the goal of satisfying enterprise customers’ needs of migrating desktop applications to AWS. Here are some highlights from AWS Partners that built and optimized products in this space to run on AWS, and provided technical content, labs, and workshops to guide customer adoption of desktop application streaming solutions. These offerings can run on top of Amazon Elastic Compute Cloud (Amazon EC2) and support other AWS features and services, manage the lifecycle of desktop workloads on AWS, or provide a managed control plane, and/or desktop resource. These are turnkey solutions where the mechanism that provisions and manages the lifecycle of desktop resources on AWS, and to the end user, is a managed offering. These solutions address identity, tenant isolation, and data partitioning, and have developed their own intellectual property to automate the offering into Software-as-a-Service (SaaS) or Desktop-as-a-Service (DaaS). Frame is an AWS Standard Technology and Public Sector Partner that provides customers with the ability to spin up secure cloud workspaces in any AWS region. In August 2017, Frame announced support for Elastic GPUs and G3 Instance types, and has been testing Elastic GPUs where they have seen solid results with apps such as Google Earth, ANSYS AIM, Siemens SolidEdge, Adobe Photoshop, and more. At AWS re:Invent 2017, Frame CEO Nikola Bozinovic presented a session on Elastic GPUs along with AWS Senior Product Manager Letian Feng. The session was titled “Unleash Your Graphics Solutions with the Flexibility of Elastic,” and you can watch it on the AWS YouTube page. These are designed for customers that want to deploy and manage a solution in their own AWS account and scale desktops seamlessly. Additionally, these solutions are designed to work with AWS and provide lifecycle management and governance tools for the desktop resources deployed on AWS. Citrix is an AWS Advanced Technology and Public Sector Partner that offers two ways for customers to deploy and stream desktop application on AWS. Customers can use their own Citrix licenses on AWS and deploy the environment and desktop resources on Amazon EC2. They can also use the Citrix Cloud XenApp and XenDesktop Service that allows for simpler setup and shorter deployment time by using a Citrix-hosted management infrastructure to deploy desktop resources on AWS. In May 2017, Citrix and AWS collaborated to provide attendees of Citrix Synergy 2017 a lab where we showcased the Citrix Cloud solution deploying desktops on AWS. A use case customers often ask us about is the ability to run Windows client operating systems on AWS for XenDesktop deployments. Check out this APN Blog post to learn more about our Citrix on AWS Accelerate program. Interested in which IAM permissions are needed for MCS to work with AWS? This article lists the IAM permissions needed. To add support for AWS new instance types within your deployment of MCS, review this Citrix support article. If you have deleted the default VPC in your AWS account, you will need to configure the Volume Worker instance to use the Machine Catalog VPC and not the default VPC. Leostream is an AWS Standard Technology Partner that providers customers with the tools to provision and connect a complete VDI, DaaS, or hosted application solution on-premises and in the AWS Cloud. The Leostream Connection Broker is a vendor-independent connection management platform that manages the connection of end users to their desktops and applications in on-premises data centers or in the cloud. IT administrators use Leostream Connection Broker to deploy and manage desktops, as well as establish access control rules, all from a single-pane-of-glass interface. Last year, Leostream added support for many AWS services such as AWS Directory Service and Amazon Relational Database Service (Amazon RDS). Check out this deployment guide to learn more about using Leostream to manage VDI on AWS. 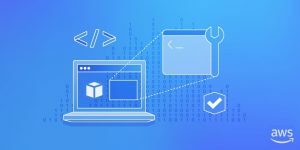 These do not manage the deployment or lifecycle of desktop resources on AWS, but it is possible to use scripting or other automation tools to manage desktop resources. Additionally, these solutions have documented support for their solution to run on AWS. Parallels is an AWS Standard Technology Partner that provides customers with Parallels Remote Application Server (RAS). This is a comprehensive virtual application and desktop delivery solution that allows employees to access and use applications and data from any device. As of September 2017, AWS customers can download RAS as a pre-configured 30-day trial on AWS Marketplace. Check out RAS on AWS Marketplace and learn more about deploying RAS on AWS. Depending on the complexity and scalability of an environment, a layering approach may help ease management of the resource plane by adding layers of virtualization between the operating system (OS), application, and user profile. Without layering, all user profile, application, and OS data is managed within the OS image. In this model, any modifications to the OS image, including patching, must be performed on each image. This can be very complex and time consuming at scale. These solutions help reduce configuration bloat by managing end user profiles. Depending on the use case, profiles can be non-persistent or persistent, saving user settings configured by the user and providing a unique OS and application experience. Liquidware is an AWS Advanced Technology Partner that provides customers with workspace environment management tools focused on environment management (ProfileUnity), application layering (FlexApps) and desktop monitoring (StratosphereUX). Liquidware presented at AWS re:Invent 2017 and reviewed the benefits of these solutions running on AWS. Their session was titled “Image Management Best Practices for Amazon WorkSpaces,” and you can watch it on the AWS YouTube page. You can also get these Liquidware products on AWS Marketplace. We have high expectations that AWS Technology Partners will continue to build and optimize products to run on AWS, and provide high-quality technical content, labs, and workshops to guide customer adoption. Keep reading the APN Blog to see how Partners are innovating in 2018 and beyond.